AerialReports.com is a leading provider of offsite aerial measurement services. We are pleased to announce the launch of Pavement Measurement Reports. Leveraging the industry’s proven and most advanced aerial measurement technology, AerialReports.com provides an accurate and affordable Pavement measurement reports that save the contractors a tremendous time, effort and money. 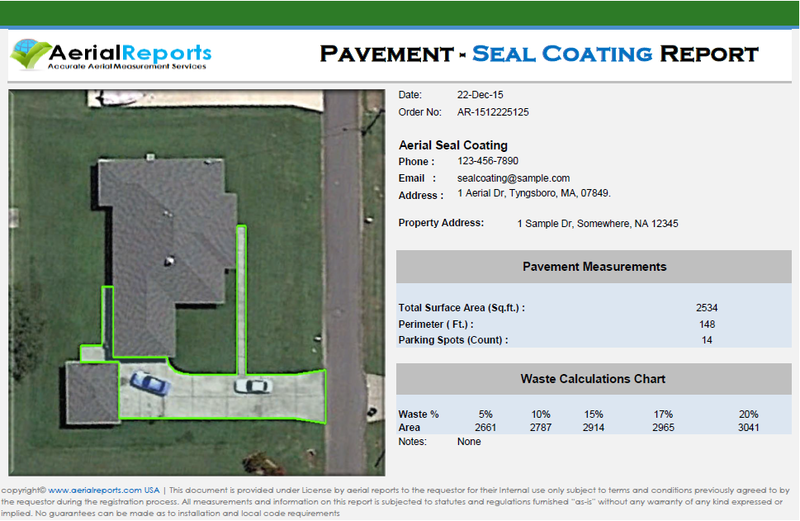 Pavement Report is the quickest and most economical solution for estimating pavement Seal coating projects. 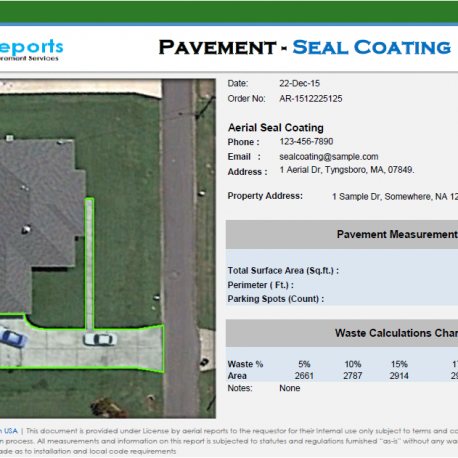 Our Pavement Report is available for both commercial and residential properties and provides outlined image of the property, Perimeter, parking spot count, as well as waste calculations chart. AerialReports provides accurate, affordable and timely aerial measurement reports for concrete or asphalt ground areas. 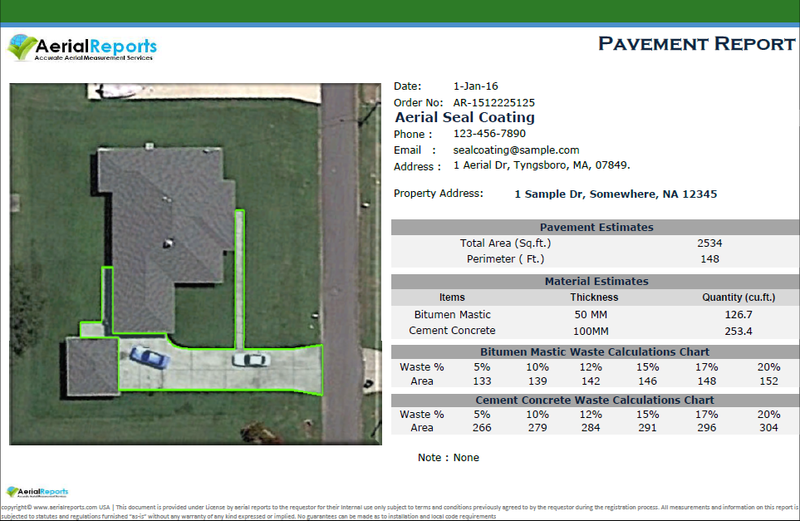 Leveraging industry’s proven and most advanced aerial measurement technology, Pavement report compiles all essential measurements and relevant data into an easy-to-read, environmentally friendly report.